This partnership with Uber is part of Virgin Trains’ ambition to provide customers with a smooth and seamless journey from door-to-door, encouraging more people to leave their own cars at home. From today, customers buying their train ticket on the Virgin Trains website will have the option to receive an SMS reminder with a link to book an Uber trip to the station and at the end of their Virgin Trains journey*. There will be a two-week testing period to allow for refining and optimising the service through customer feedback. This marks the beginning of broader plans to continue optimising passenger journeys and improving customer satisfaction before, during, and after they travel. Passengers who select this option will be eligible for 50% off their first Uber journey up to a maximum value of £10**. 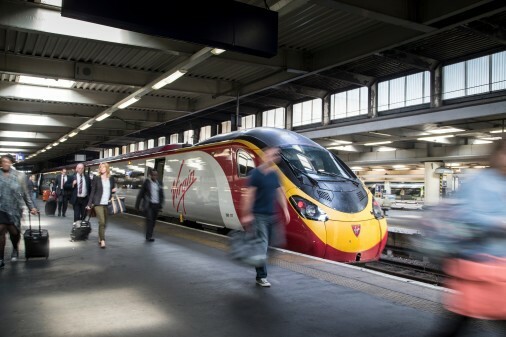 This will initially be available for customers travelling either from London Euston to Birmingham New Street or from Birmingham New Street to London Euston, with roll-out across other Virgin Trains stations on the West Coast in the coming months ***. This builds on other Virgin Trains innovations and industry firsts such as the ability to buy tickets via Amazon Alexa, mobile ticketing, automatic compensation for delaysand the free on-demand entertainment BEAM.